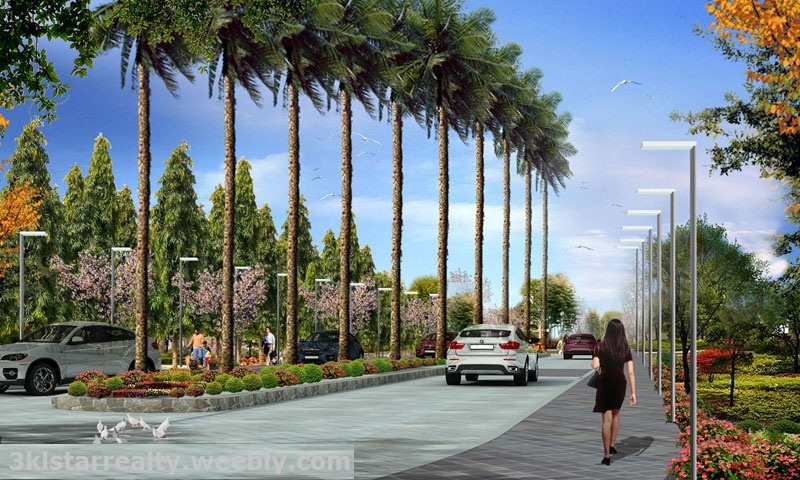 Vera Estates, is a 22-hectare residential development in Tawason, Mandaue City. Envisioned to be a master-planned collection of quality communities, Vera Estates will first be home to the THE FRENCH HIGHLANDS. A Contemporary French themed Subdivision, where the structures are designed in conformity with the architecture. 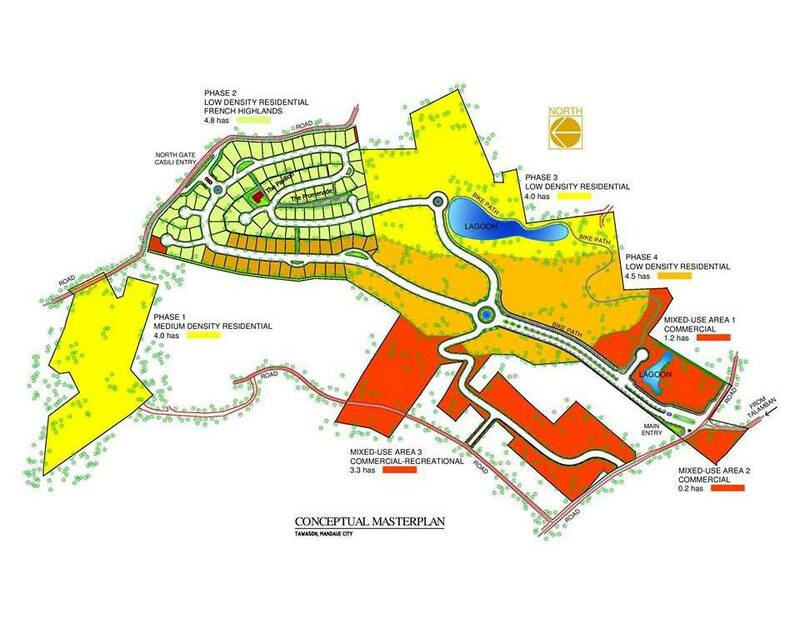 An exclusive community, part of a total 22 hectares residential subdivision Tucked in hills of Mandaue where the air is cleaner with a view of the city. The feel of the countryside at the same time provides easy access to the necessities of living. A unique location where the city meets the mountains, giving the future residents the best of both worlds. An investment opportunity in an area with high property value growth potential. 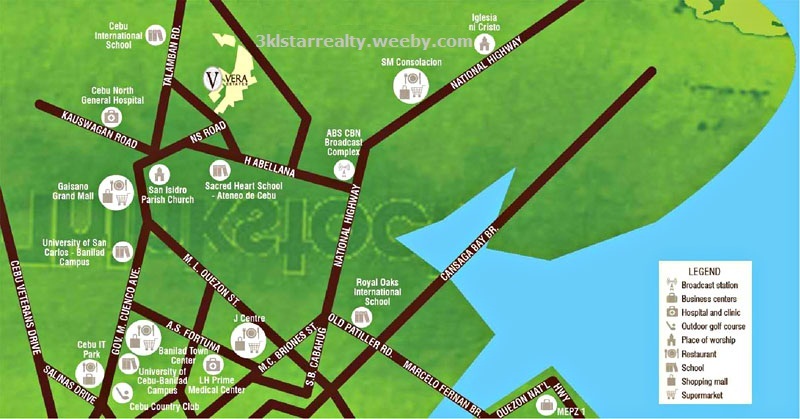 This is evidenced by the presence of schools, subdivisions and commercial establishments. Equity/Down Payment 20% of the Total Contract Price. Equity shall be payable without interest for a maximum of six (6) months, starting on the next month after payment of the Reservation Fee. Reservation Fees must be in the form of cash or on-date check payment. Check payments should be made payable to CASTILLE RESOURCES REALTY DEVELOPMENT INC.
Target date for lot turnover is August 2015. 5% Discount on the TCP if fully paid within 30 days from Reservation date. Equity (20% of TCP ) is paid within seven (7) days from date of reservation with 3% Discount on the Equity. DISCLAIMER: The information presented has been prepared with utmost care and in good faith. The contents are subject to change without prior notice, kindly verify with the office for changes. • Reservation fee of Php 100,000.00. 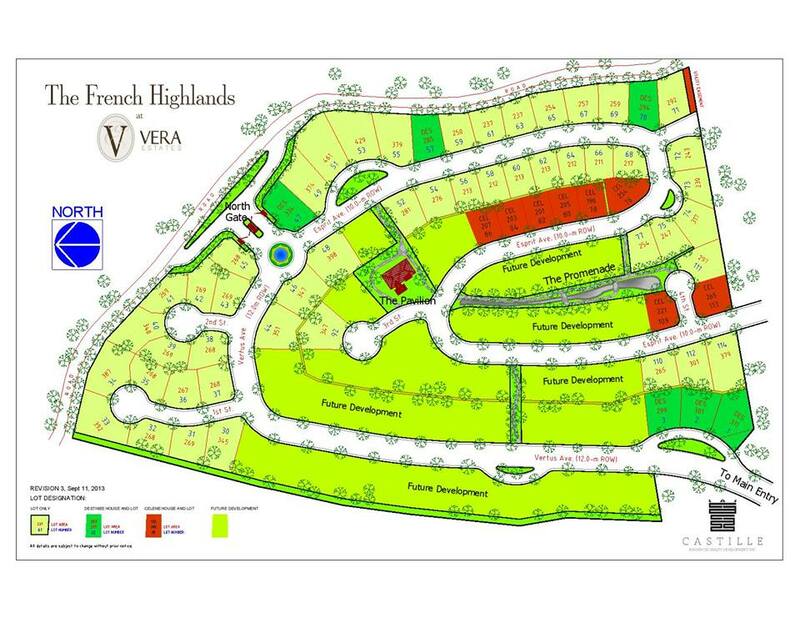 Please mention "THE FRENCH HIGHLANDS at VERA ESTATES" with your comment in the comment box when you have inquiry.